Basseterre, St. Kitts – With just 84 days to go before the federation celebrates 34 years of independence, William V. Hodge, permanent secretary in the ministry of education and chairman of the education sub-committee for independence, officially launched a theme competition as a way to get citizens and residents alike to utilize their creative skills. The deadline for submission of entries is Friday, July 14, with late submissions not acknowledged. All entries must be submitted in writing and sent via email, postal mail or dropped in a drop box at the entrance of government headquarters on Church Street in Basseterre. The chairman shared the guidelines for the theme competition so as to give participants a better understanding. 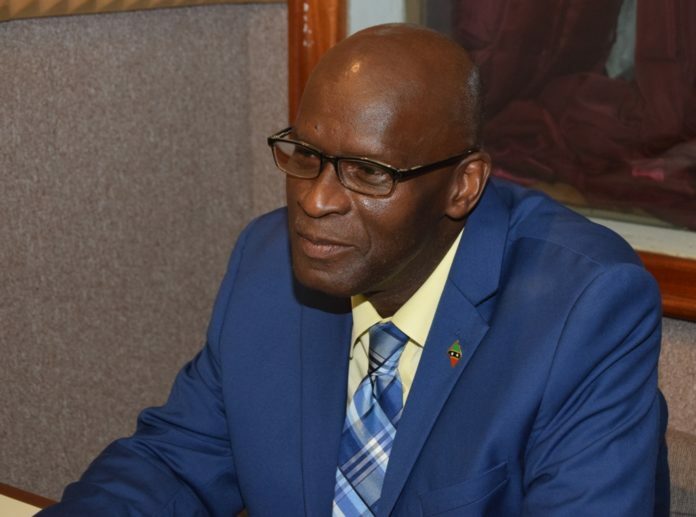 Hodge said that his ministry will be playing an integral role in Independence 34, as the cabinet decided that this year’s celebration will focus on the federation’s youth. A maximum of two submissions are allowed per person, and every submission “must be new and original, as old or plagiarized entries will result in immediate disqualification,” he added. Entries can be emailed to william.hodge@moeskn.org or independence.themeskn@gmail.com. If participants are using the postal service, entries must be addressed to the Permanent Secretary, Ministry of Education, Church Street, Basseterre.